Voted NYC's "Most Magical Music Class"
in Red Tricycle's Totally Awesome Awards 2016! Our Brain-Building Program: Our weekly music classes are designed to enhance development while introducing children to all genres of music and a large assortment of classical and folk instruments. Every week: a new style of music & featured instrument! 1. 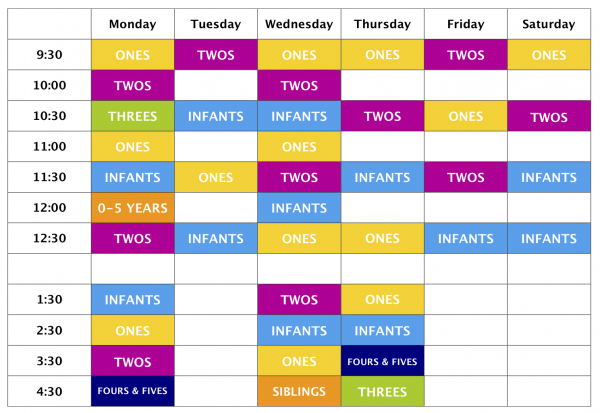 Pick an age appropriate weekly music class from the schedule above. Our classes fill quickly! We recommend enrolling early to guarantee your preferred day & time. *There's no need to worry about being locked into the day & time you choose! We offer unlimited make-up classes so you can switch classes whenever you'd like. 2. View enrollment options and specials below to make your enrollment choice (full session, half session or drop-in classes). Keep in mind, although we offer flexible enrollment, our curriculum is designed as a 14-class enrichment program so children benefit most from attending the entire session. *Not sure which class or package to select? Give us a call or email and we'll help you schedule your classes! Cost per class decreases with the number of classes you purchase! View discounts & specials below. Includes unlimited makeup classes within the session. Full sessions include free playroom passes & playroom discounts! See below. Includes unlimited makeup classes within the half session. Half sessions include 1 playroom pass and playroom discounts. Please see below. Half sessions include 1 playroom pass and playroom discounts Please see below. Schedule at your convenience within the session. We recommend enrolling early to guarantee your preferred day & time! *Not sure which package to select? When you enroll in a half or full session of music classes, you receive free passes to our indoor playspace and discounted rates when purchasing additional passes! If you were enrolled in our Winter/Spring full session (16 classes), you save up to $25 on Spring/Summer music classes! Thank you for being a TLB Frequent Flyer! 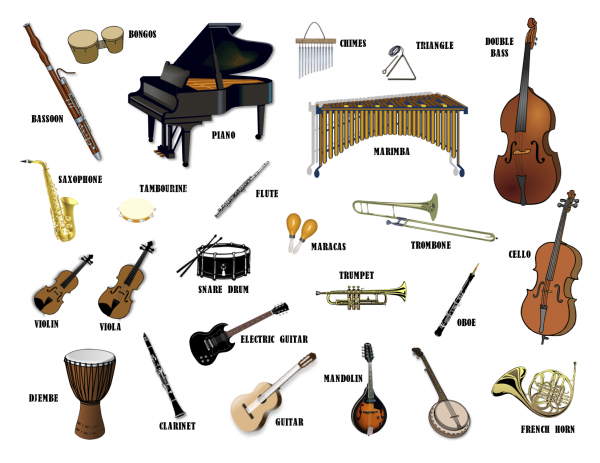 Do you have a child who's never taken a TLB Music class? In addition to free play passes, students new to TLB save $50 on their first full session or $25 on their first half session of Winter/Spring music classes. Make-up Policy- We offer unlimited make-up classes within the session for which you register to make scheduling as flexible as possible and to accommodate napping/scheduling changes. If you miss your class, you can make it up any other time your age group is offered! Please call or email in advance to schedule. Please note: All make-ups must be completed during your half or full session. Sibling Discount and Policy- We offer a 20% discount to those registering a second child in our program, and a 40% discount for a third child. If a sibling not registered in our program would like to visit your registered child's class (up to 2 visits unpaid), please call or email in advance to avoid overcrowding. Playroom Discount- Those enrolled in a full or half session session receive TLB Music Member discounted Playroom rates. Drop-Off Classes- Our Fours & Fives classes are drop-off. Refund Policy- Full refund up to 2 weeks into the session. Take a Peek Inside Our Classroom! 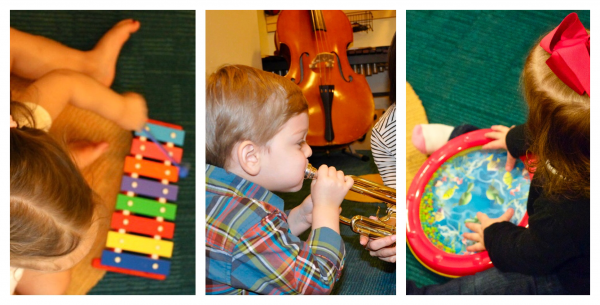 These are a few videos of our classes and below are some of the instruments we play at TLB! Visit our YouTube Channel to see all our videos.